playing your hiphop loungy music vibe. Don’t let the fact that Kelvin Frazier is a doctor fool you, the man was born to sing. Evidence of that is apparent on his new single “Conquer All”, which is a traditional r&b ballad and standout vocal performance. While he continues to craft his upcoming EP, he also performs with the CaliWorship Mass Choir. The collective has sung backup for Grammy Award-winning singers such as Tina Campbell, Erica Campbell, and Grammy nominee singer Anthony Brown. 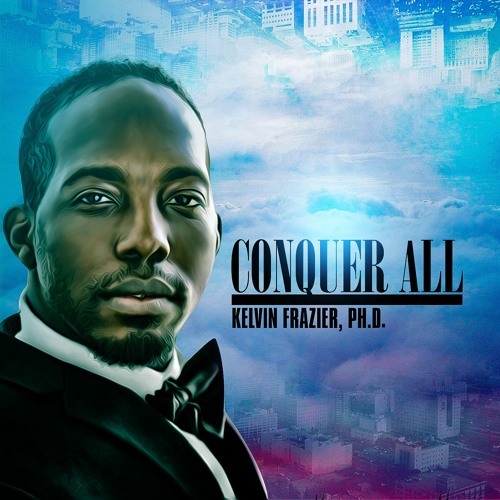 Stay tuned as Kelvin Fraizer, Ph.D. continues to release more music throughout 2017! De naam Soul Selector ontstaan door de sample based muziek invloeden van mijn favoriete periodes “Soul” de 70’s, “Selection” de 70’s – 80’s & 90’s, samen vormt dit “Soul Selection”. Het is geschikt voor club optredens, acoustic sessions en Live band “op Events en grote festivals”. Optreden met Live band is waar de toevoeging The Elementz tot zijn recht komt, dit is de band, de achtergrond zanger/s/essen kortom de ontbrekende elementen om het Live compleet te maken. Copyright © 2017 - Powered by Zion Linger.